Back in Havana with a giant Cuban flag hanging limply on the face of the building across the street. 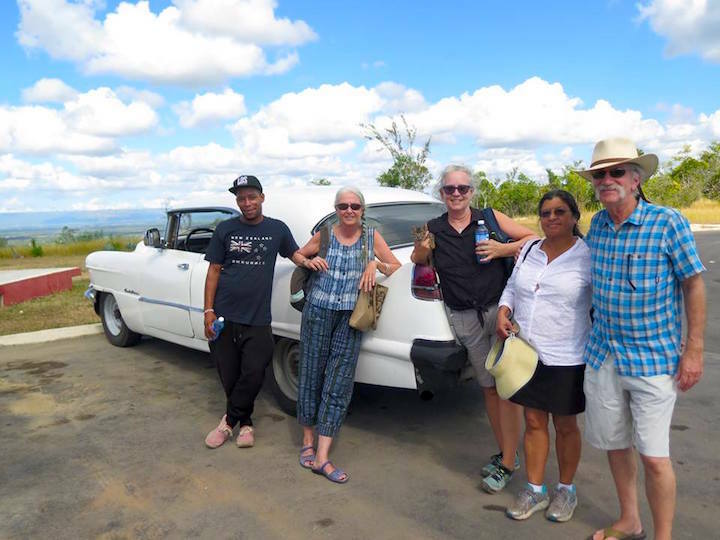 After 3 weeks of travelling off the beaten track from Havana to Trinidad, to Camaguey, Sierra Maestra, Santiago de Cuba and Baracoa with a group of adventurers from North America on the Crazy Adventure Tour that I offer I find Havana absolutely luxurious. Hmmm, just goes to show, its relative folks. Christmas was a low key affair with pigs squealing as they tried to escape their fiery fate on the river at the foot of the Sierra Maestra with Ulysses and Alexeis hosting us as we recovered from climbing the Commandante. 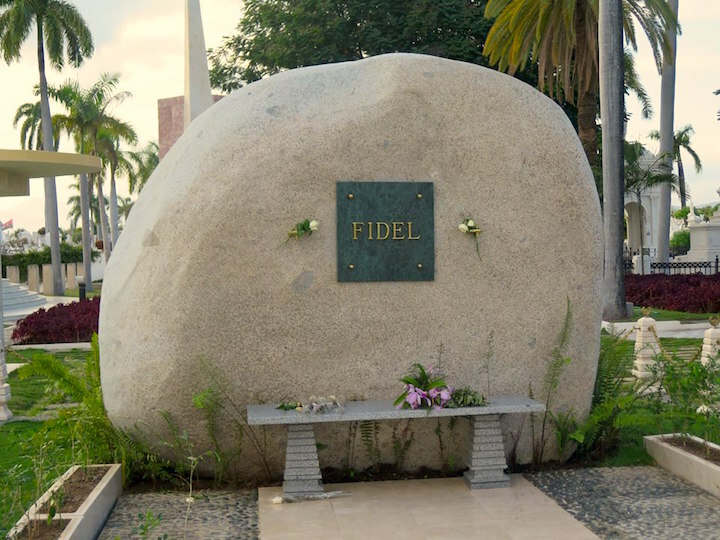 There the remnants of Fidel and his band of bearded pranksters plotted revolution and guess what…?? 60 years later the blockade is intact and the people are still struggling. La Lucha, the struggle, a word one hears a lot but now the meaning has shifted. Like finding eggs or bananas or a water tank. Just saying. Priorities change. Back to the trip..High points, mountains with views and history that lives on, horseback rides to waterfalls with nobody else around and New Years dinner cooked by sublime Deulis in Barracoa and served on the terrace with a view of El Yunque (anvil) the square topped mountain that dominates the landscape like a brush cut from an Archie comic strip. The Hurricane that hit Baracoa in September destroyed the majority of the palm trees, banana plants and many many homes but because it is a micro climate which we kept hearing and hearing “Micro Clima’ the resurgence of green is remarkable and the majority of houses are open for business and the people are still quirky and wonderful. 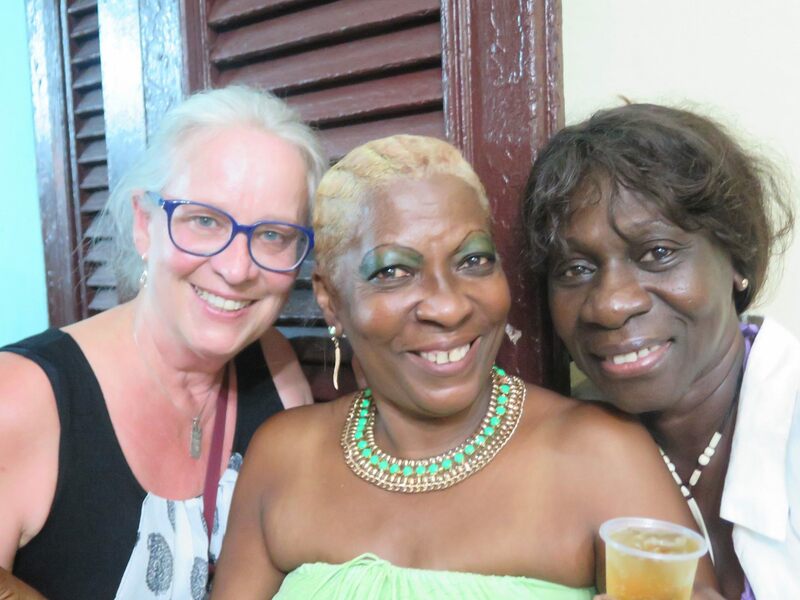 I spent New Years Eve dancing to traditional music a El Patio with local men who showed off their shoulder shakes with aplomb and the next day my knees hurt enough that I was reminded that another year has indeed passed. 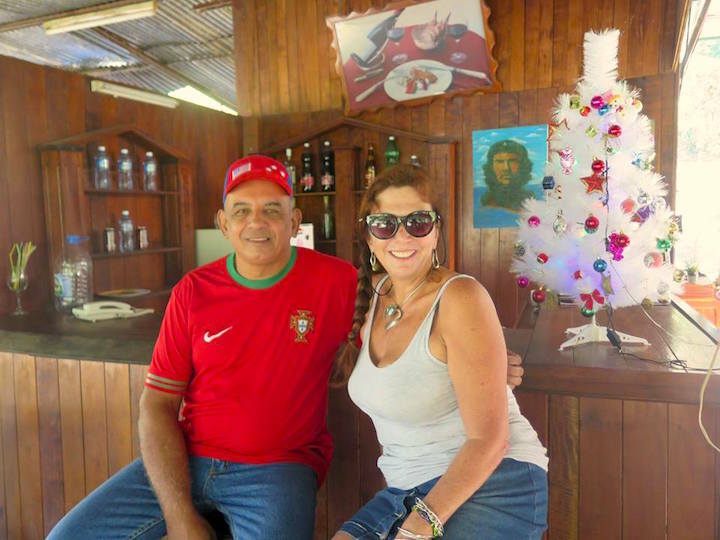 In Camaguey we were kidnapped by a young hustler on a bicycle who guided us so helpfully to our house because our young driver, Jonny, (Johnny be good to us) did not know where he was and I repaid his act of kindness with a tip except…it was not our house. It was his commission grabbing house. Sigh. visiting Fidels grave in the big clean cemetery in Santiago with the soldiers goose stepping on the hour with very serious expressions on their young brown faces. Riding in big old dumptrucks converted into buses and Cadillacs to Guantanamo where the base is a hazy line on the horizon from the look out. And flying back to Havana on a propeller jet plane that was built in the era of Soviet fists and caviar but now gusts clouds of air conditioning into the cabin yet still gives a smooth ride. Below the terrain shifting from Tropical green undulations to flatter subtropical regions as we headed West. And the cold beer glass that sweats on the table as the soft sounds of the malecon and voices and piano rise and fall, like waves, like the perceptions that continually change shape and colour in this vortex where time is flying forward but keeps getting thwarted as it bumps up against the invisible wall of 1960. 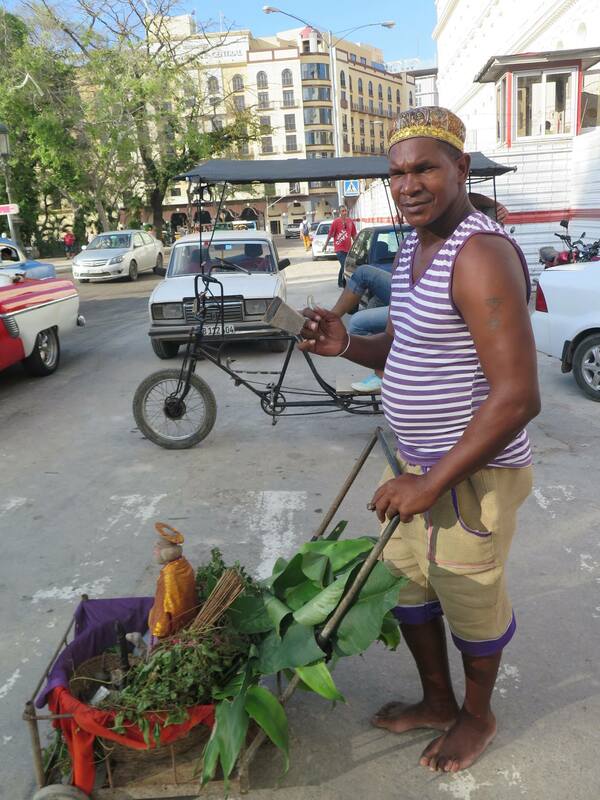 My Hood in Central Havana is known as Cayo Hueso, ‘island of Bones’. A stroll through the uneven streets is like stepping into a film directed by Fellini, Spike Jones and an Alvin Ailey dance sequence. All the colours of the Santeria gods are splashed on the walls, ruby red for Shango, sunshine yellow for Oshun and the colours of the ocean for Yemanja and the people sway as they walk, in search for bread, tomatoes, beer, taxis and each other. it is an African opera en vivo. Voices shout and respond, the beat of drums slide out of open windows and rooftops wave multihued flags of laundry. Walk half an hour West and you are in Vedado the haven of mansions and the upper middle class. 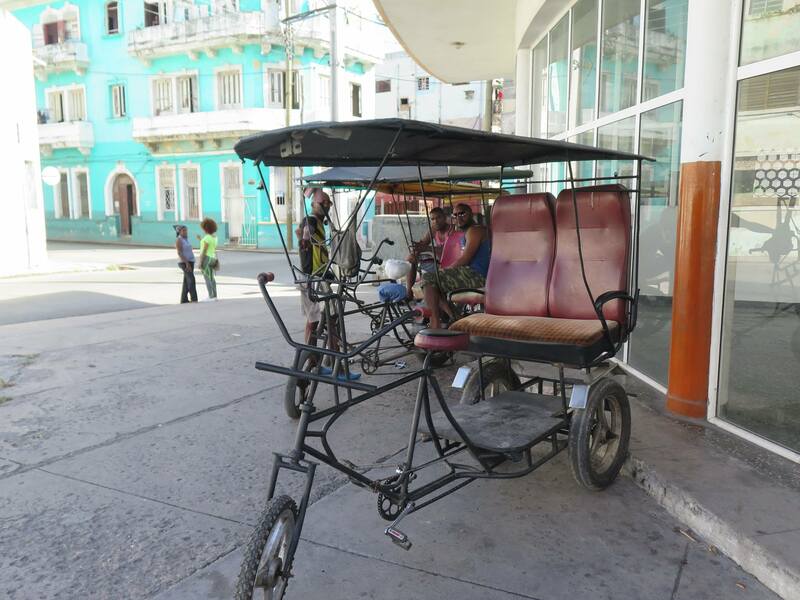 Walk half an hour East and Old Havana awaits you with its ancient squares, tourist cafes and bars. 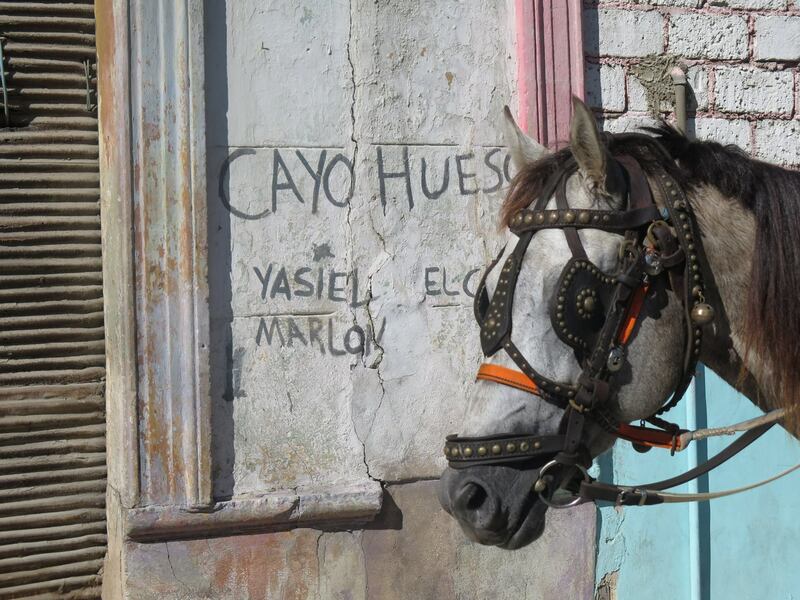 Walk in Cayo Hueso and be in Cuba City. 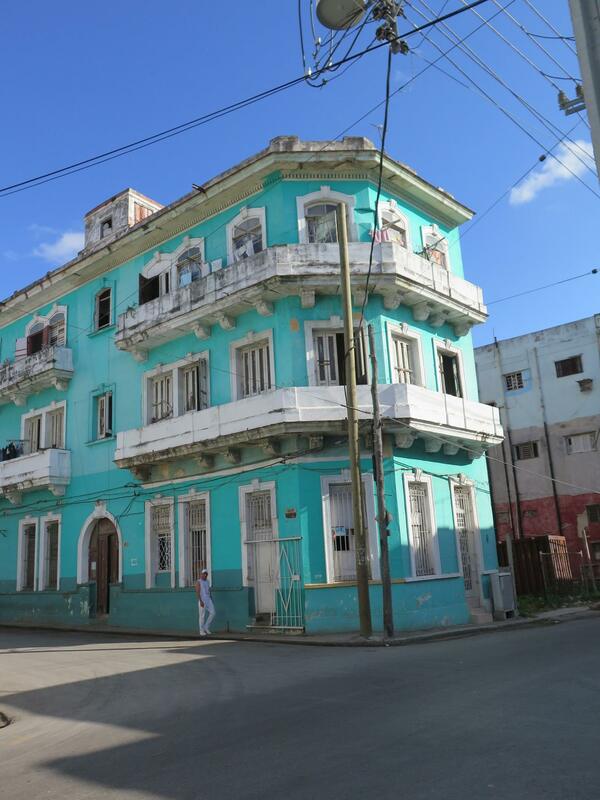 Cuba4u has just the place for you to stay overlooking the action out to the Malecon, sea wall, while lounging in the palm of comfort and safety. December 17th commemorates the unfortunate beheading of San Lazaro at the dawn of Christianity, the patron saint of suffering, including lepers and other horrible ailments. 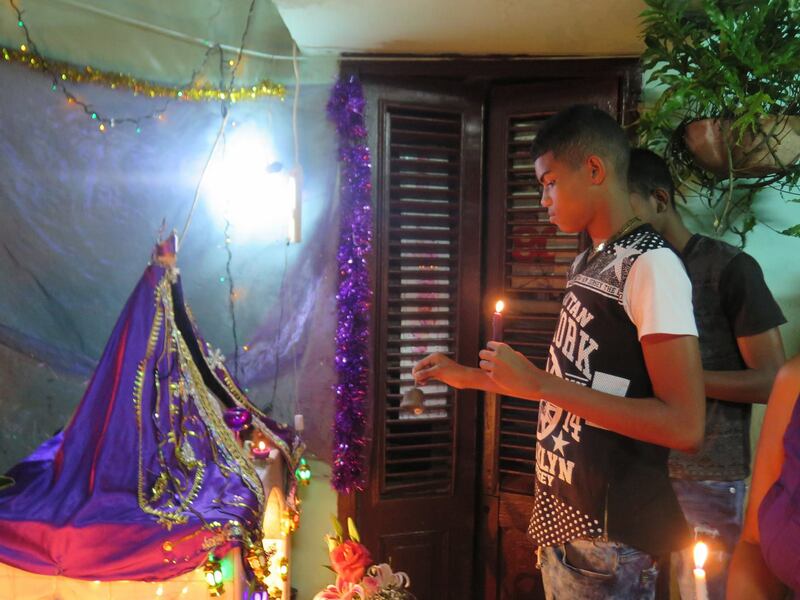 The purple clad saint who is always accompanied by his faithful hound has become a saint of note in Cuba and has found an important niche in the tapestry of Santeria, the Afro Yoruba Christian melange religion that is an integral part of life on the island. 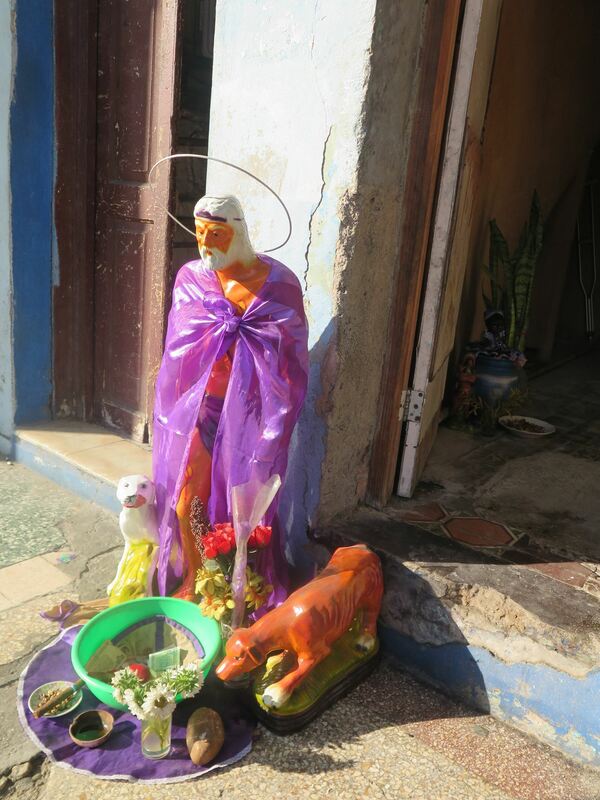 Altars are erected in front of homes and along the streets for a week before the actual day. On the 17th penitents make their way out of the city to the Rincon, a large church, to drag stones or walk on their knees in the fervent hope that their pleas will fall on gentle Saint ears and relief will come their way. 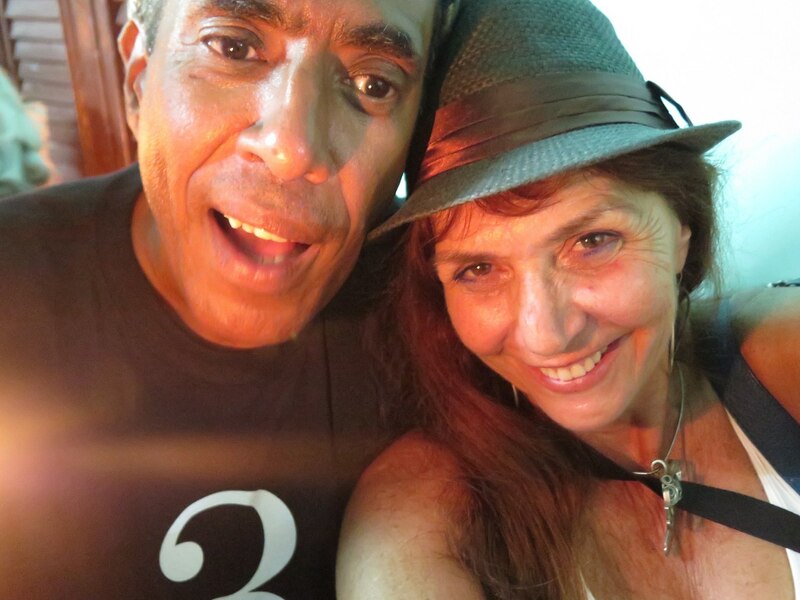 I was fortunate to be invited to a beautiful old home in Central Havana to party the evening away in typical Cuban fashion, music, rum and cigars with the spangly altar taking priority in the living room. At midnight with candles in hand we each made our way up to the altar and leaving sceptism and modern thinking at the door sent up a prayer for a moment. 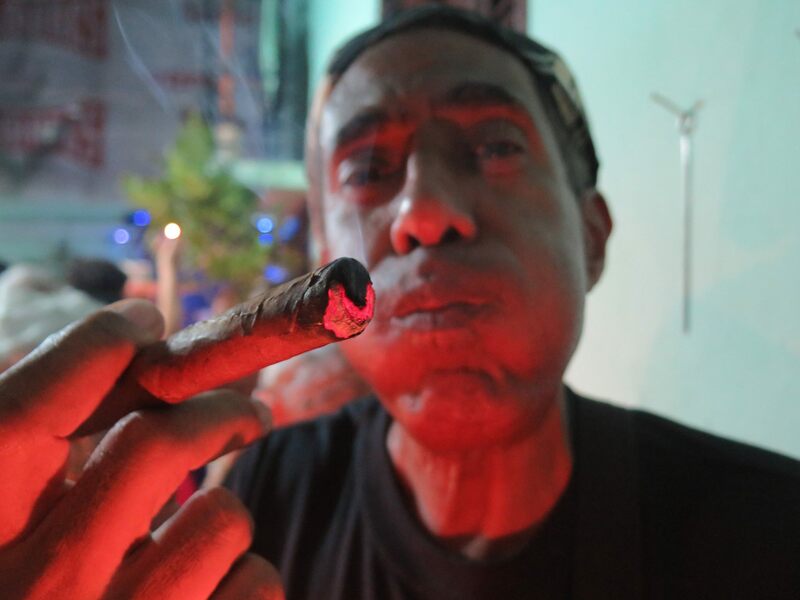 Healing of hearts, souls, world leaders on ego crack and fear could do worse than one night in Cuba with drums in the background, a Cohiba drifting fragrant smoke and smiles in a Purple Haze. Prince would have felt right at home. 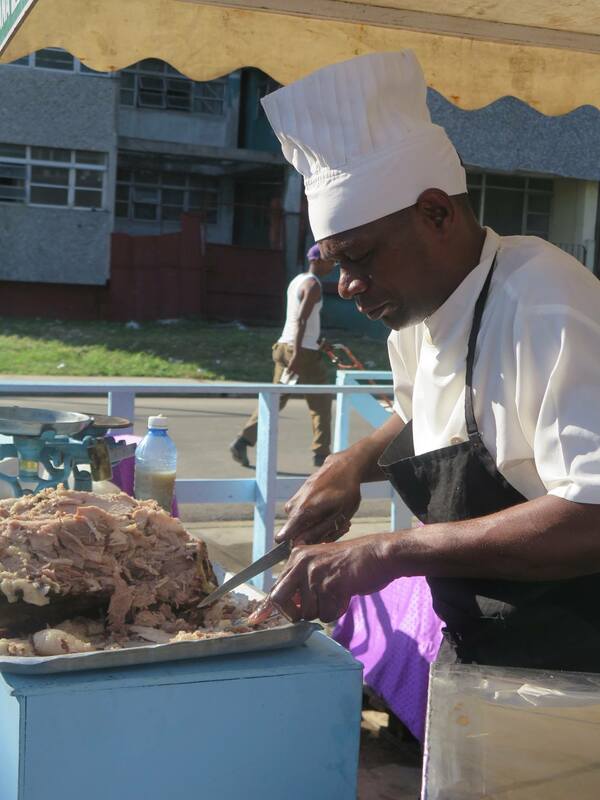 Join Cuba4u.ca for a taste of the REAL CUBA. Ok, back to high notes. A brass section in Santiago de Cuba that would be at home on any world stage, playing under the stars into the wee hours of this Caribbean town, sweltering in the folds of the hills that surround it. The smiling faces of the Son dancers languidly sliding to the floor, never missing a beat at the Casa de la Trova while wearing lime green nylon transparent shirts that made me sweat just looking at them and my envy at their dancing abilities. Oh in my next life…visiting Fidels grave in the big clean cemetery in Santiago with the soldiers goose stepping on the hour with very serious expressions on their young brown faces. 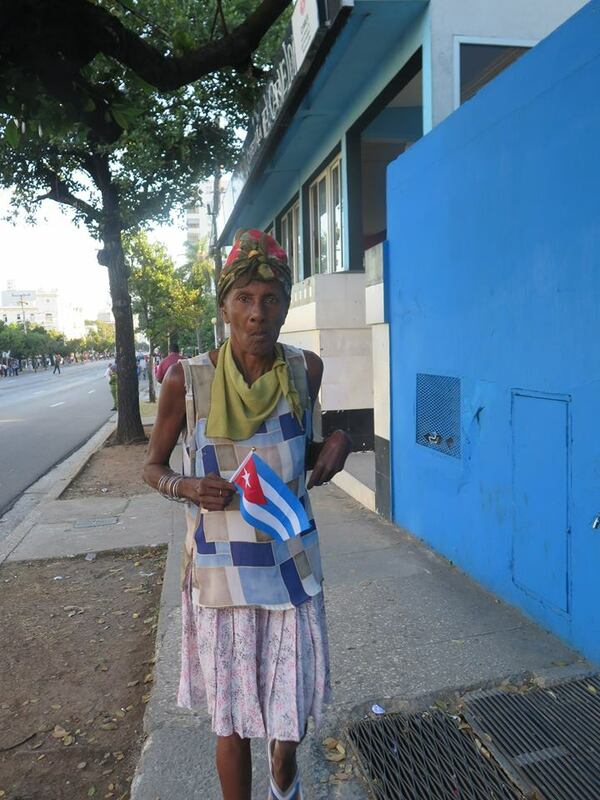 Belinda was a teacher up in the Sierra Maestra when Fidel was hiding out in the mountains. 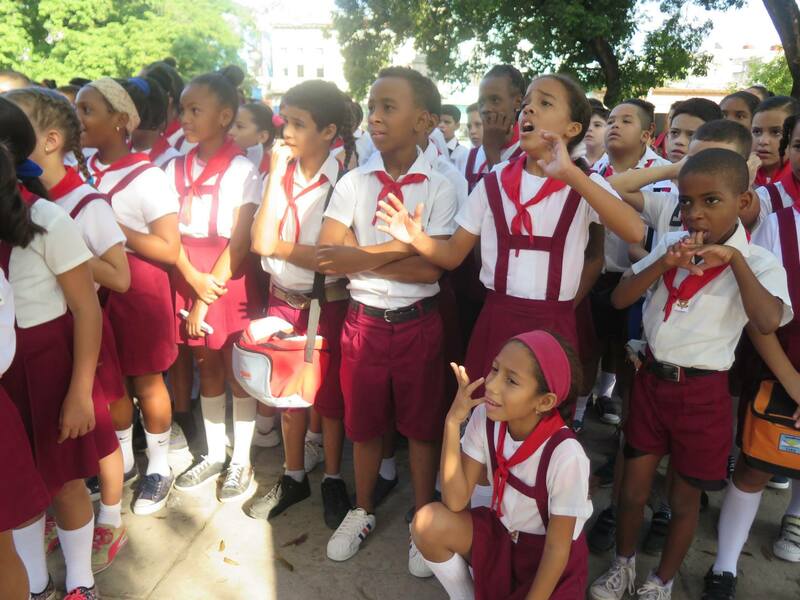 In the final two years of the 1950’s, heeding the lure of a group of bearded firebrands, the desperate peasants, young people from all walks of life and intellectuals made the muddy trek up the hot mountainside to teach reading, writing and offer health care to the disenfranchised population of the Eastern countryside of Cuba. 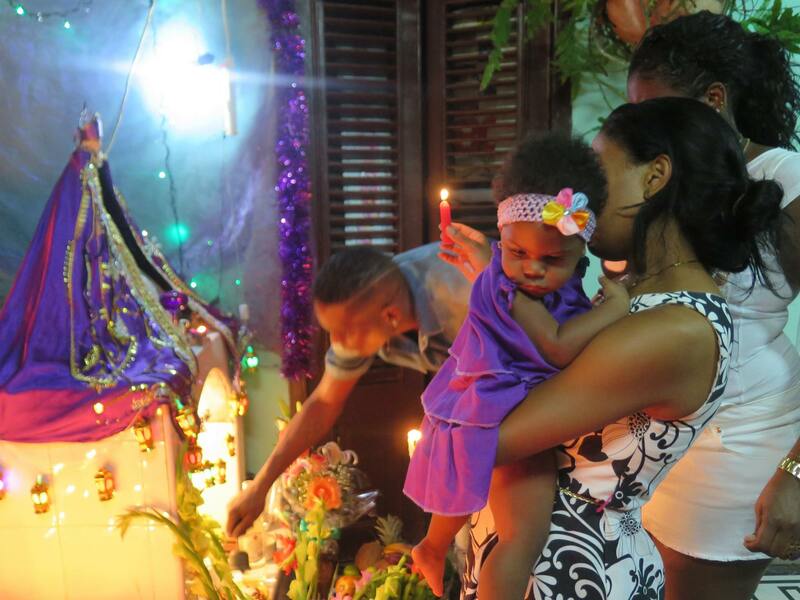 I met Belinda at dawn on Tuesday, November 30th, on Calle 23 as we stood by the side of the road, hemmed in by bodies, waiting for Fidels ashes to be driven past in a calvacade of green army vehicles that were embarking on a slow salute across the entire island. 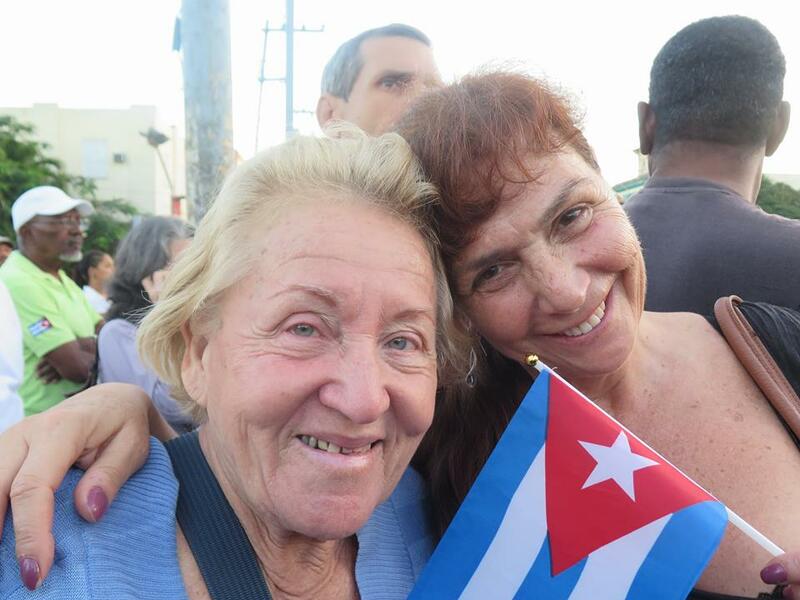 Cubans lined the sides of the roads from Havana to Santiago de Cuba to pay their final respects. Shouts of Fidel! Fidel! 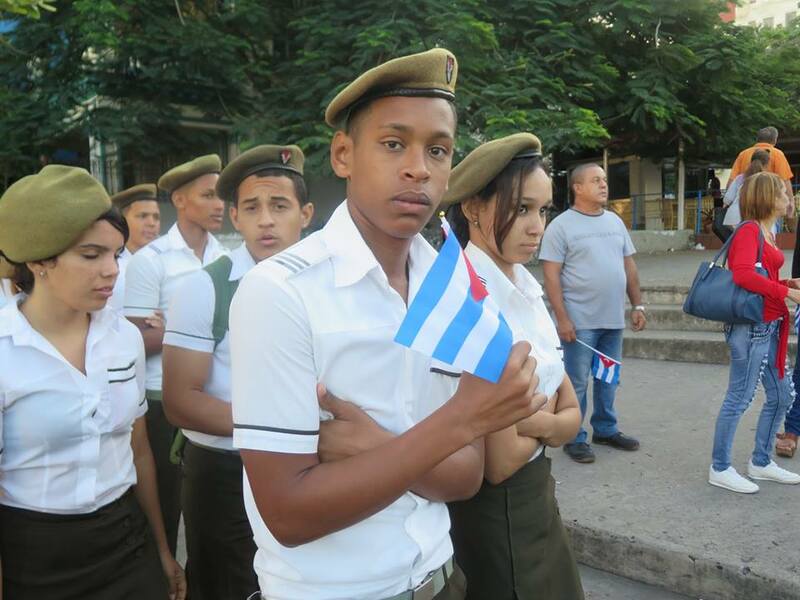 rang out in the early morning as the small box wrapped in a Cuban flag and nestled in a circle of white flowers on an open flat bed glided past. Otherwise it was a quiet, subdued and gentle crowd. One helocopter hovered overhead and young military personnel stood at intervals making sure nobody stepped out on the road. Belinda and her grand daughter were just behind me and we began to talk. Her grand daughter kept her arm protectively draped over the small shoulders of the bright eyed, diminutive woman who smiled at me and offered me her flag to wave. 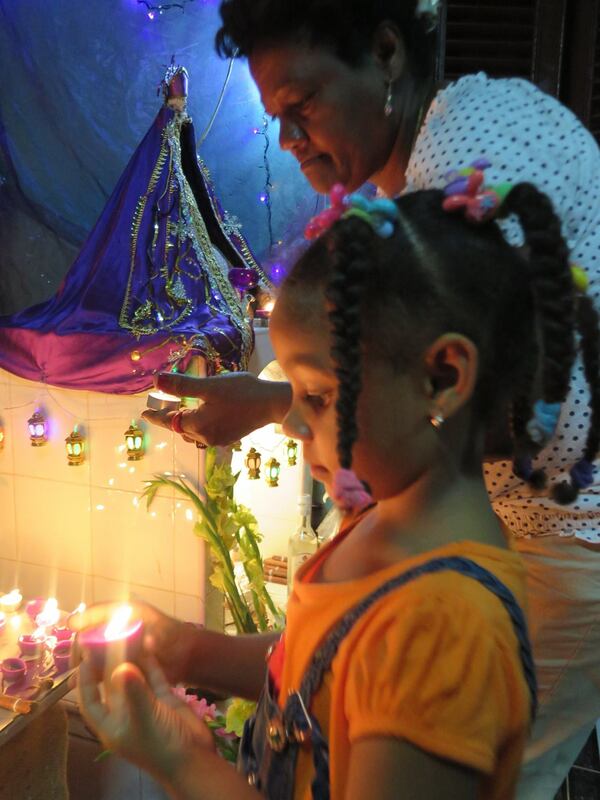 Something about her prompted me to ask if she had been in the Sierra Maestra and she lit up. Was it hard I asked. A small woman with white hair that most people would not even notice on the street and she was there beside me in the peeling dawn, reflecting on the page of history that was her life. 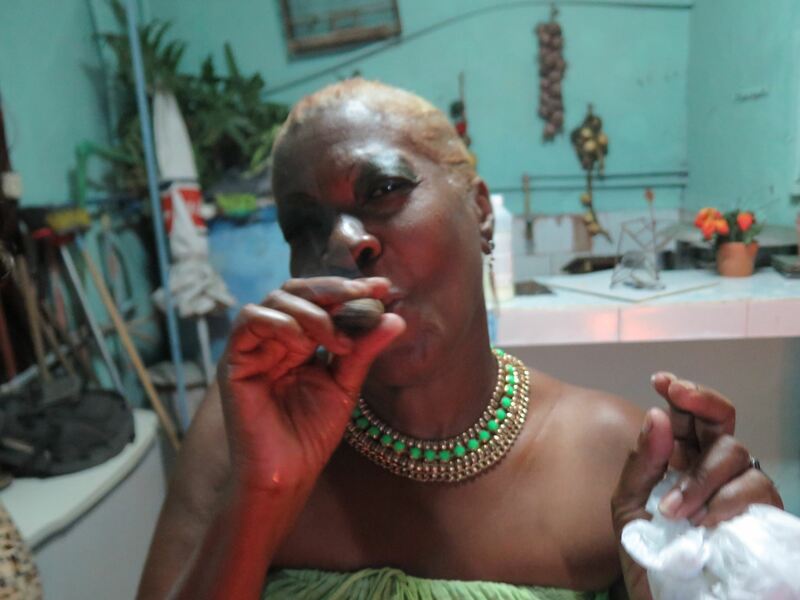 A story that evolved in many unexpected ways, with twists and turns, exploding cigars, condemnation and glorification and yet, for her it was a personal tale that symbolically came full circle on that blue morning. Before we parted ways she kissed me on the cheek several times and gave me her phone number. 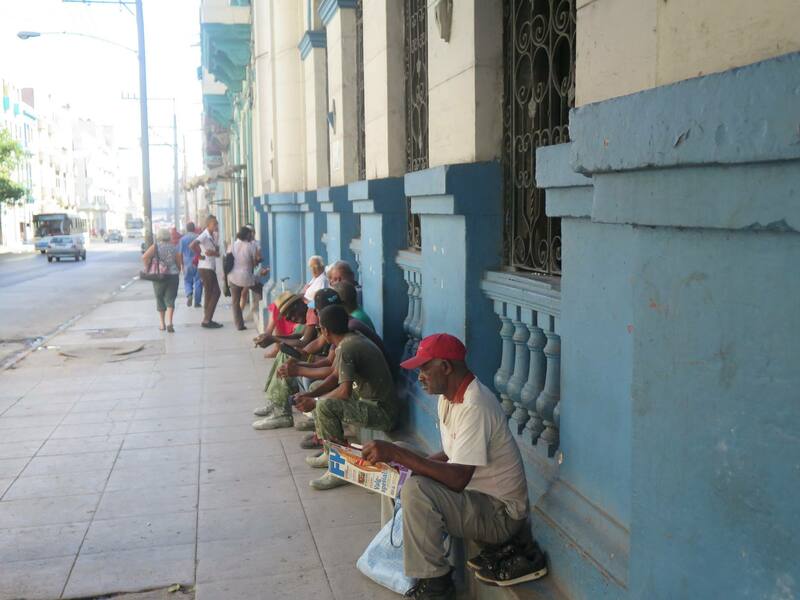 I nodded and we parted ways as the crowds streamed in four directions to begin another day in the lucha (struggle) of a Havana day.